Has anyone used this stuff, and if so, how does it compare to E-Z Line. 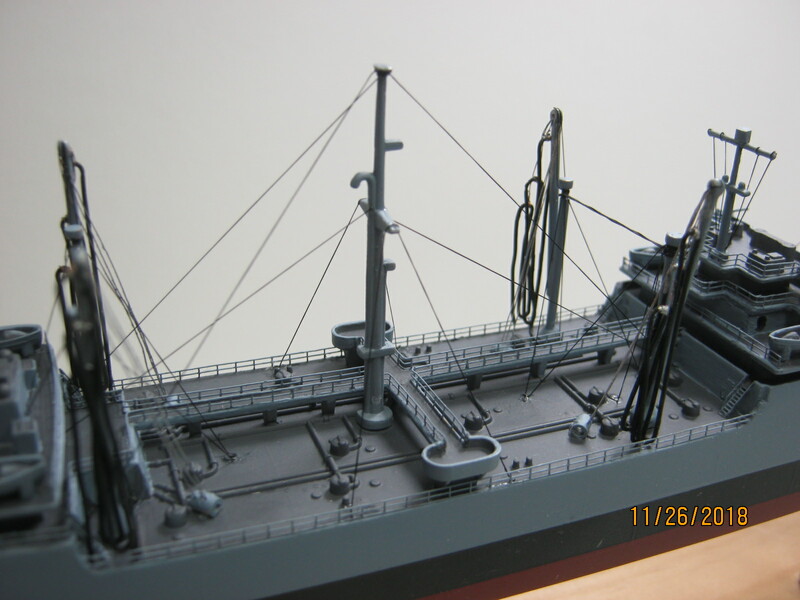 And what denier would be in scale for 1/350 running rigging? Haven't tried it, looks promising. I use 20 denier uni caenis fly tying line for steel cables on 1/350 and 1/700 ship models. Whether or not it is scale, I can barely see it. I'd keep using it for 1/700, would try 40d for 1/350. The Infini is described as "slightly elastic". That might be a good thing. I have stopped using EZ Line. 1. It's flat, not round and that is visible. 3. It's falling apart on some of my older models. 4. I have an old spool where it fused itself together. I tried that Caenis thread also, but, unless I got the odd-"bad spool" I found it to unravel way too easily. I gave it several tries, but it was pretty much unworkable. I don't care for EZ Line cuz it's flat (like you said); it will fray; doesn't react kindly to superglue (the glue causes the thread to actually shrivel and kink up; but, I have to say, its elasticity has saved me a couple times. I used Infini on an oiler I just finished. I like the look much better as it's round. Only time will tell on it's survival when aged. Completed - 1/525 Round Two Lindberg repop of T2A tanker done as USS MATTAPONI, USS ESSEX 1/700 Hasegawa Dec 1942, USS Yorktown 1/700 Trumpeter 1943. In The Yards - USS ESSEX 1/700 Hasegawa 1945, USS ESSEX 1/700 Dragon 1944, USS ESSEX 1/700 Trumpeter 1945, USS ESSEX 1/540 Revell (vintage) 1962, USS ESSEX 1/350 Trumpeter 1942, USS ESSEX LHD-2 as commissioned, converted from USS Wasp kit Gallery Models. Plus 35 other plastic and wood ship kits. You finished the Mattaponi! Really nice job. Rick- his to answer but I want to add that he started with a real POS Lindberg kit. Thanks for the compliment GM. It was an interesting build. It started with the 1/525 Round Two 2016 repop of the old late 1950's Lindberg kit #438. 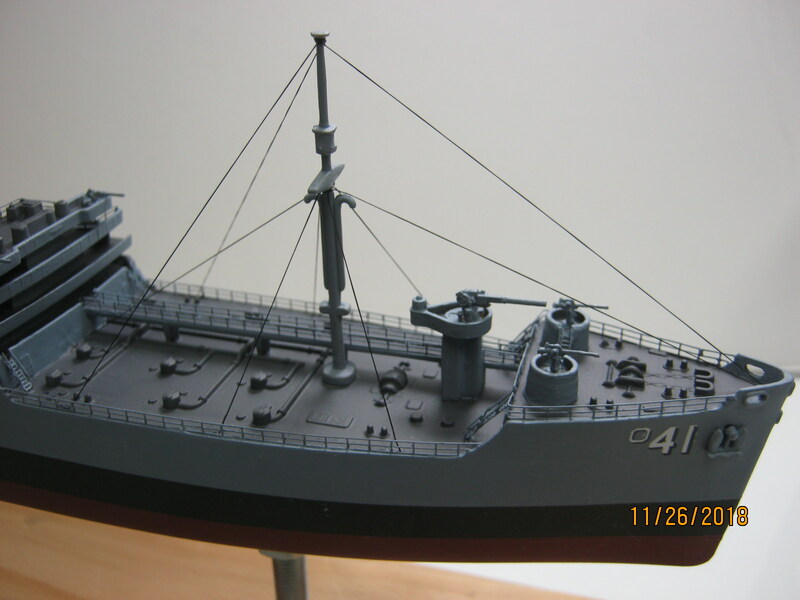 I built it as USS Mattaponi, AO41 for an old shipmate of mine. 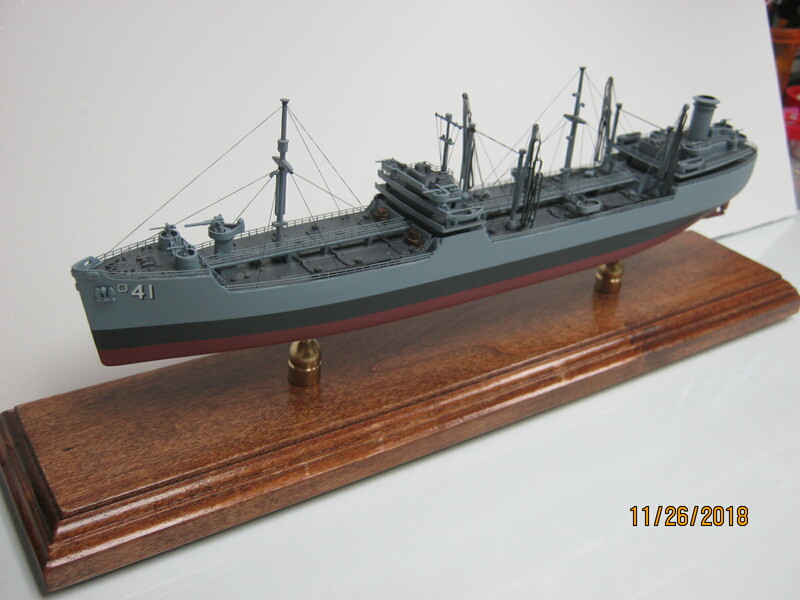 I really wanted the actual USS Mattaponi Lindberg kit but couldn't find one. The #438 kit is really a Kennebec class T2 oiler. The Matti was the first of the T2A oilers that were 20 feet longer. Pretty basic kit to say the least. Lots of chopping, scratching and research to get her to the 1961 era ship he was aboard just prior to a refit that added a full platform deck that replaced the elevated catwalks. Used the kit, a generic Gold Medal 1/500 PE, replacement 3-d printed guns and lots of scratchbuilding stuff and spares bits. AND, lots of patience. Got some real nice personal pics from a fellow from the Matti assn that helped immensly, especially with the rigging and deck furniture. I had a build log here - but I guess I forgot to finish out the log when I completed it. I'll have to go back and do that. That's what happens when you spend 2 1/2 years piddling around with a build. Started it August of 2016. I gave my friend "His Ship" last Wednsday on his 77th birthday. He was quite amazed. My 77th birthday is this coming Tuesday, the 12th. Hope I answered everything. I didn't mean to hijack this thread.